Imagine being able to access and play in a real live virtual casino from the comfort of your own personal abode. -Discover and play their favorite gaming machine or table game. -See which games are preferred by other players. -Be able to analyze each machine game history. -Discover the progressive jackpot that best suits them. 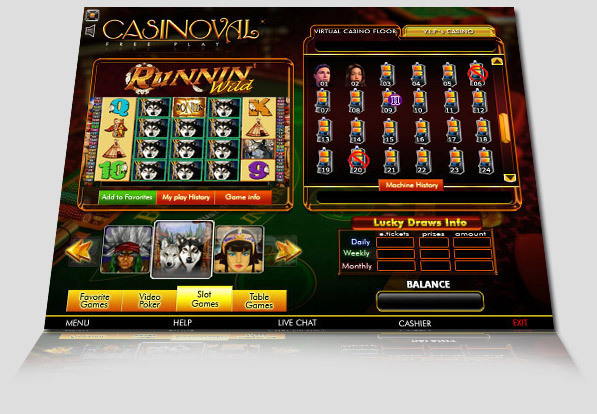 -Win thousands in prizes with Casinoval's LUCKY DRAWS. If your favorite machine or table game is being occupied by another player, you may need to wait until that player has logged off that machine or table game before you can click and log on to your favorite machine or table game and play. Once logged on to your game, the game allows inactivity up to 30 minutes, at this time a further 60 second advisory message counts down. If no activity has occured the machine becomes available to other players.